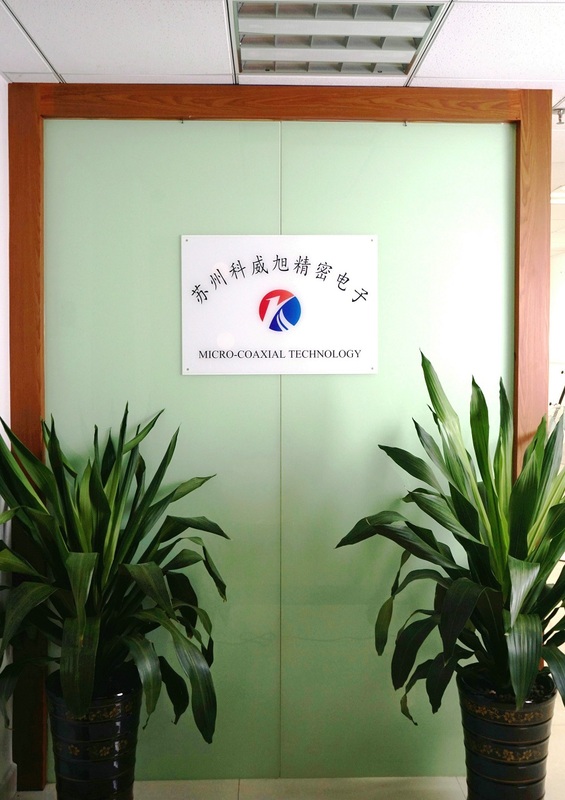 Started in 2000, Micro-coaxial Technology is a high-tech and precision cable assembly manufacturer. We specialize in design and manufacture in micro coaxial cable, LVDS cable, eDP cable, fine pitch micro coaxial cable,RF cable assembly, Ultra-fine pitch cable assembly, fine coaxial cable assembly,micro flex coaxial cable and all kinds of wiring harness.These cable assemblies product are widely used for LCD screen, notebook panel, automotive systems, industrial camera, Laptop,Notebook,Tablet PC, Intelligent household appliances,Cell/Smart Phones, machine vision, Digital Video Camera,Televisions,Medical Instrumentation, Aircraft Cockpit Instrumentation, Smart Appliances, Remote/Flight Control systems,Unmanned aerial vehicle,Automobile Instrumentation,Industrial Control Equipment, Oil Field Equipment, Exercise Equipment, Educational Electronics, Test Equipment,and communications systems and their peripherals. As a leading manufacturer in fine pitch cable assembly and wiring harness, our professional ability, specialized R&D,nearly 20 year’s experience in cable assembly, fully automatic cable assembly line and the highest QC standards allow us to provide our customers the best cable assembly and wiring harness products.We are experts in many kinds of cable assembly and wire harness manufacture. Based in China we produce customized eDP cables, LVDS cables, micro coaxial cable assembly,v-by-one cable, display cable, mcx cable, mini coaxial cables assembly for LCD panel, TFT display. We provide excellent quality LVDS cable, I-PEX cable, eDP cable, fine pitch cable, mini coax cable, sgc cable, custom LVDS cable assembly. Tooling available for Hirose, JAE, Molex, I-PEX, Samtec, KEL, JST, Tyco Electronics and more. Welcome to contact us to custom micro coaxial cable assembly, LVDS cable, eDP cable, v-by-one cable assembly, miniature coaxial cables, I-PEX cable assembly, KEL cable assembly,JAE cable assembly, Molex cable assembly, Hirose cable assembly, mcx/mcc cable assembly, LVDS cable assembly, eDP cable assembly manufacturer, RF cable assembly, micro coax cable connectors, discrete wire harness. Our professional ability, from quick turn prototypes to full production quantities, Micro-coaxial Technology offers engineered and standard cable assembly for virtually every application. We currently occupy over 15,000 ft² of manufacturing facilities with over 80 employees. There are two Full Automatic micro coaxial cable assembly lines, two Semi-automatic cable assembly lines, four Full Automatic Terminal Crimping Machines and other cable assembly equipment. 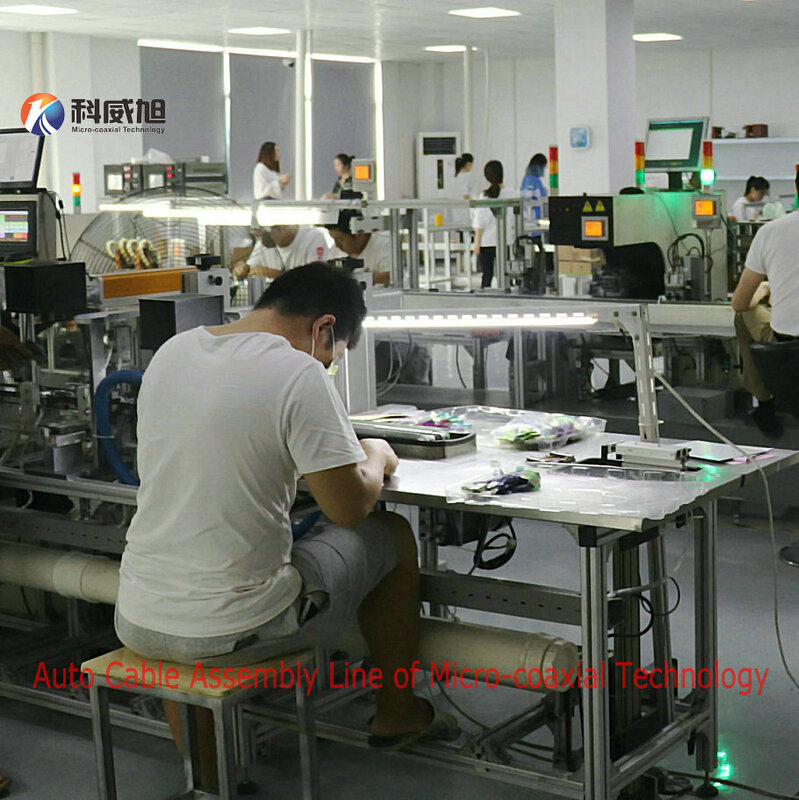 We use the most modern cable assembly equipment and utilize the latest technologies and techniques in quality control. Continuous internal innovations allow us to maintain flexible production schedules and results in increased OEM cable manufacturing capacity. This plays a significant role during our busiest seasons in cable production.